It will be fine. Those four famous last words. I started to break down, whine, and cry thinking about what could go wrong and how misterable the trip would probably be. But I decided to do it anyway. We had a flexible schedule that day. Well the 2.5 hour trip to Denver turned into 3 hours with potty breaks, gas, and hungry bellies. We ran into bumper to bumper traffic, got cussed out by a crazy driver, and the kids whined the entire time. We had to make too many stops that I didn’t care for and by the end of the day I was spent, vowing I would never do that again. It tested my patience and I was not a happy wife or momma. At all. On our way home, Jeremiah agreed that I should have stayed home with the kids. “But I always like doing things together as a family,” he said. I rolled my eyes and told him how some things are just not worth it. But after he assembled the bed together and we plopped our exhausted bodies onto our new bed and mattress, I was thankful we labored for it all. I’m guessing you’ve had an experience like mine where your husband’s idea seemed crazy and you sensed that strain and stress might be coming your way. But you followed his lead because you knew that’s what he desired. The feelings and emotions are often different in our dating days. We often don’t second guess. 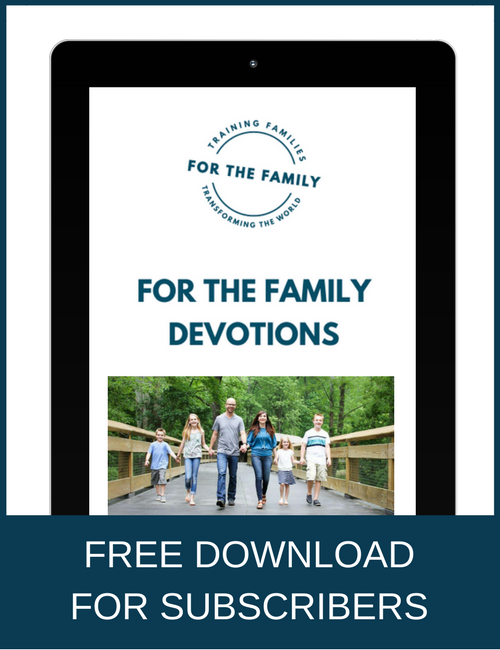 We can’t imagine not going along with our lover’s plans or that things might not be “easy.” But in marriage, we eventually see how hard it can be to follow our man. To let alone love him in the way he understands. Learning to accept your husband’s feelings, tastes, and attitudes can go a long way… Does it matter whether acorn squash is good for him if he doesn’t like it? Accept his tastes. He doesn’t need a dietician or a substitute mother. Maybe he gets a kick out of football, and you feel the sport is stupid. Voice that opinion once or twice, and what will you communicate? That you feel you married a stupid man. How willing do you think he’ll be to express his likes and dislikes if he is called stupid when he does? I can relate to Dillow’s football and food comment. I definitely have my opinions and I don’t always hold my tongue or communicate in the nicest manner, but over time in our marriage, I have been challenged to begin dwelling on the characteristics that I love about my husband: his intelligence, skillfulness, leadership ability, sexual capacity, courage, financial expertise, protection, prudence, and more. When I draw on what I appreciate the most about him, it helps me admire and respect him. And then eventually it turns into praise and affirmation which is what he craves to hear. To love your husband well you also need to know him. What makes him tick? What does he hate? What does he love? You might consider these questions. What is the happiest thing that has ever happened to your husband? What has been the hardest experience of his life? What are his secret ambitions, his goals for life? What are his deep fears? What about you does he appreciate the most? What traits of you would he like to see changed? What man or men does he most admire? You might write the answers down on paper and ask your husband if you were on target. No worries if you don’t get the answers right! It is never too late to learn something you didn’t know before. You might have him answer these questions about you. Jeremiah and I did this together several years ago and it was fun to exchange answers and see who got the most right. The man God gave you is different than the man God gave me. Your husband is uniquely gifted in his role just as you are uniquely qualified to complete and compliment who he is. There is nothing more destructive than comparing our man to other men. Thoughts like, I wish he were more like ________ . Why doesn’t my husband do _________. No perfect husband exists. Each has his own faults and limitations. Each has his own talent and unique abilities. I still fail at times to be the wife I know I should be. I can be pretty spicy and strong-willed. It is definitely a falling forward process of sanctification and dying to self. 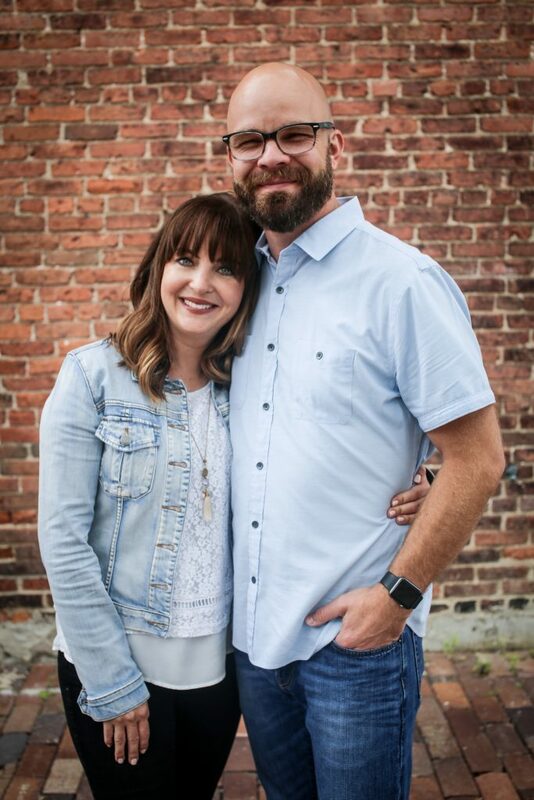 But I am growing, learning, and I know one thing is sure: I want my husband to know that I am for him. 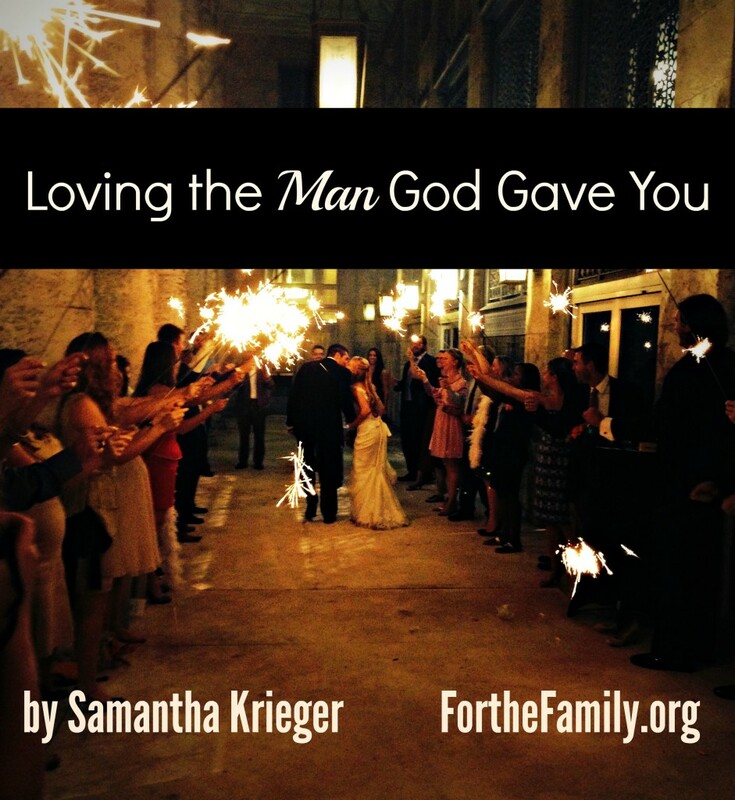 Samantha Krieger is a pastor's wife and mom to four children, ten and under. She's the author of Quiet Time: A 30-day Devotional Retreat for Moms in the Trenches. Her writing has appeared on The Today Show, Her View From Home, and TheCourage.com. She writes from rural Colorado and enjoys connecting with readers on her personal blog, Facebook and Instagram.